Most of the "hot Jupiters" that astronomers have been searching for in star clusters were likely destroyed long ago by their stars, says John Debes and Brian Jackson of NASA's Goddard Space Flight Center. 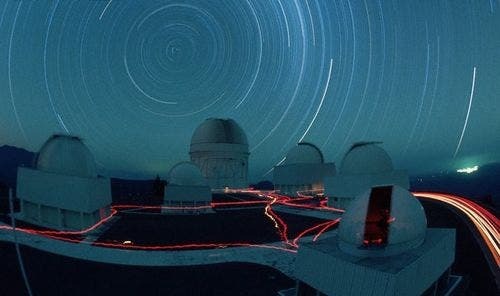 They offer this new explanation for why no transiting planets (planets that pass in front of their stars and temporarily block some of the light) have been found yet in star clusters. The researchers also predict that the planet hunting being done by the Kepler mission is more likely to succeed in younger star clusters than older ones. When astronomers began to search for planets in star-packed globular clusters about 10 years ago, they hoped to find many candidates. One survey of the cluster called 47 Tucanae (47 Tuc), for example, was expected to find at least a dozen planets among the roughly 34,000 selected stars. "They looked at so many stars, people thought for sure they would find some planets," says Debes, a NASA Postdoctoral Program fellow at Goddard. "But they didn't." More than 450 exoplanets have been found, but "most of them have been detected around single stars," Debes notes.